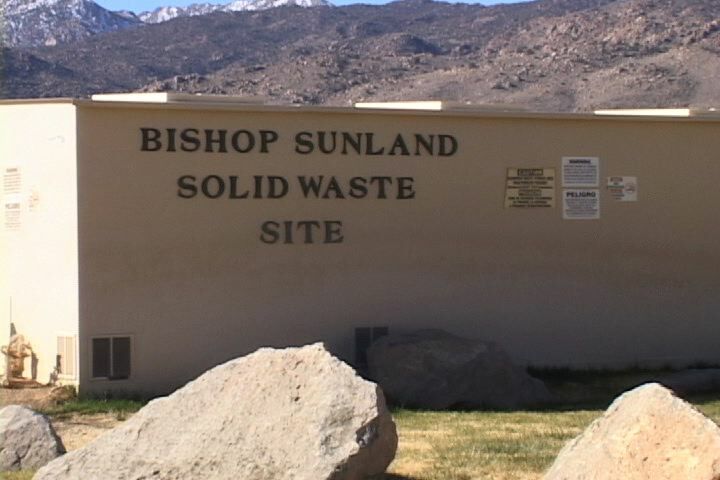 At least that was the case yesterday when the Board of Supervisors discussed condemnation proceedings on the three county landfills, all operating on LADWP leases. The Board also addressed the issue of paying for aerial applications of a larvacide to forestall the threat of West Nile Virus. The landfill site condemnation process came to light a month ago. The County had made an offer to purchase the sites in Bishop, Lone Pine and Independence at an appraised value of $522,000. The issue was a new lease with Draconian implications: short-term, a 400-percent increase in the third and final year and smothering oversight by the department. LADWP responded to media coverage with statements citing state agency violations and implying Inyo’s operation of the sites jeopardized the watershed. The majority of those violations have or are being resolved or stemmed from the absence of a new lease with the department. The solution, according to LADWP, was to close the existing Bishop-Sunland site and build a new and improved dump which Assistant Administrator Rick Benson estimated would cost $17 million. But yesterday, all that changed. LADWP’s Assistant General Manager of Water Systems Richard Harasick urged the County not to proceed with the resolutions that would begin the eminent domain process and offered to negotiate a sale price, “fair to Inyo County,” minus the water rights but with a commitment to supply water for the landfill’s operation. During the hearing, the County’s outside counsel Kevin Lally outlined the findings necessary to proceed with condemnation, all focused on the greater need for the land to continue as a dump without LADWP’s oversight. That offer should raise the question: why would the County pay serious money to buy landfill sites and then close the landfill? LADWP’s counsel, John Murphy, claimed the facts weren’t there to meet the findings for condemnation. He urged the board to negotiate and not take a step that would authorize litigation. The Board agreed. Supervisor Rick Pucci used the example of a simple sign change to illustrate the strangle hold the new lease had on the County. “We could have to wait for eight of 15 floors (of LADWP’s Hope Street headquarters) to look at a simple request,” he said. The Board unanimously voted for the three resolutions that represent the first step in the process. Just when you think things may proceed smoothly, LADWP issued a statement from GM David Wright Tuesday mid-afternoon. 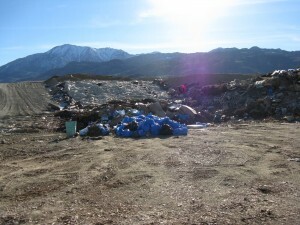 The statement brings up the 2,500 violations since 1993 at all three sites “for poor landfill operations.” However, over the last 10 years, the sites have garnered 341 violations, roughly 60-percent of those were related to Calrecycle permits that could not be revised without LADWP’s okay. That raises two questions: According to Rudolph, the sale shouldn’t require environmental documentation since the use of the land remains the same. Second, since the majority of Inyo’s 18,000 population lives within the Owens River watershed, where should this new landfill be sited? To get back to a more positive note, during the timed item before the condemnation proceedings, Ag Commissioner Nate Reade described the issues of massive mosquito infestations breeding at a frightening rate in standing water—part of LADWP’s water spreading to divert epic run-off before it destroyed infrastructure on Owens Lake. Trapped mosquitos in West Bishop and Lone Pine indicate the presence of West Nile Virus. The solution: aerial application of a biological larvacide to the tune of $250,000.